Harden's Guides have been compiling reviews of the best French restaurants in Oxford since 1998. 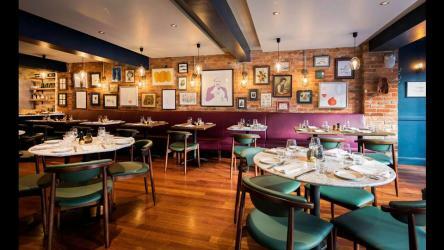 “No-nonsense French cuisine, done well” ensures that this city-centre bistro is “always busy”; and with its “small scuffed tables and chairs packed close together” somehow it “manages to feel intimate, while being crowded and buzzing”. Open for more than 20 years, it’s a survivor from a franchised 90s chain that went belly-up. “Absolutely love it here, the prices are amazing for delicious, classic food”. A charcuterie, wine bar and dining room from Pascal and Laura Wiedemann. Pascal worked with Henry Harris at Racine and also at Terroirs with Ed Wilson.